What do you think autism “looks like”? 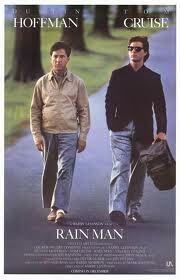 Like Rain Man? Autism can only be diagnosed by observing behavior. There is no blood test or brain scan that shows that they have autism. There are no characteristic facial traits or other physical signs of autism. They look just like anybody else. For more details on autism I recommend you read my other post: What exactly is autism? How did you know he had autism? They don’t all look and act like Rain Man. Though some are savants, they aren’t all human computers like the character in Rain Man. And actually, though the person they based the character on had autism like tendencies — his actual diagnosis wasn’t autism.